Laurence Vail, the son of the artist, Eugène Vail, was born in Paris in 1891. During his childhood he travelled with his father throughout Europe. Vail studied literature at Oxford University. Upon his return to Paris, he devoted himself to writing plays and essays, painting and sculpting. His father gave him an allowance of $100 a month. In the late 1920s he was named the ‘king of bohemians.’ He associated with writers and artists including Marcel Duchamp and Man Ray. 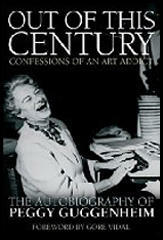 Vail met Peggy Guggenheim, the wealthy heiress. She later recalled in her autobiography Out of this Century (1979): "He was about twenty-eight at this time, and to me he appeared like someone out of another world. He was the first man I knew who never wore a hat. His beautiful, streaky golden hair streamed all over as the wind caught it. I was shocked by his freedom but fascinated at the same time... He was like a wild creature. He never seemed to care what people thought." 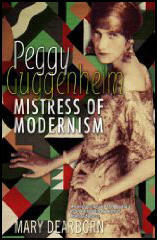 In 1922 he married Peggy Guggenheim. After the birth of their first son, Sinbad, Laurence and his wife travelled to Italy and Egypt. In 1926 they went to Switzerland, where his second child, Pegeen, was born. The family settled in Pramousquier in the south of France. While visiting Emma Goldman and Alexander Berkman, in 1928 Peggy met John Holms. She recalled in her autobiography, Out of this Century (1979): "all I remember now is that he took me to a tower and kissed me... that certainly made an impression on me, and I can attribute everything that followed to that simple little kiss." Guggenheim invited the Holmses to visit her home in Pramousquier. "They came overnight and we went in bathing at midnight, quite naked. John and I found ourselves alone on the beach and we made love." Peggy Guggenheim left Vail and went to live with John Holms. 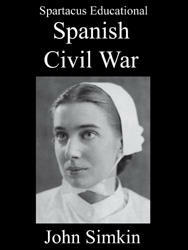 She wrote in her autobiography: "It seems to me that John Holms and I did nothing but travel for two years. We must have gone to at least twenty countries and covered ten million miles of ground." In 1932 Vail published the novel Murder! Murder!, a cutting satire about his marriage. He lived in Paris until the German invasion in 1940. He moved to New York City and in 1942 exhibited at the Art of This Century gallery with Joseph Cornell and Marcel Duchamp. At the end of the Second World War Vail returned to France. After solo exhibitions in Paris, he showed at the Galleria del Cavallino in Venice, the Galleria del Naviglio in Milan and the Museum of Modern Art in New York City. Laurence Vail died in Paris in 1968.